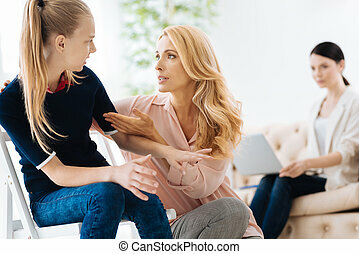 Angry mother and daughter therapy. 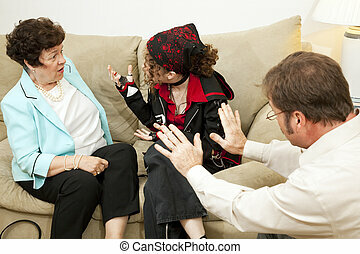 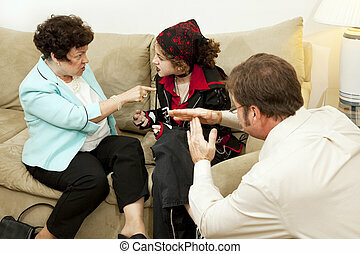 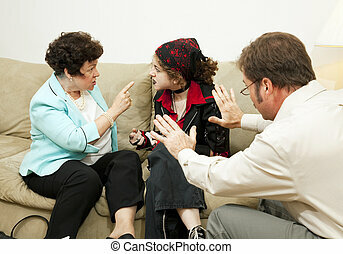 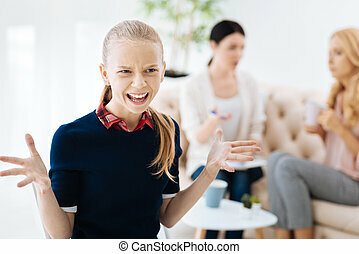 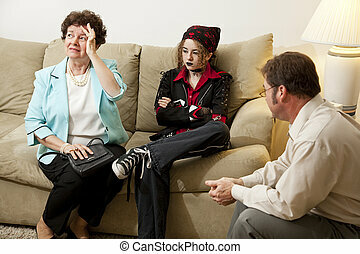 Angry mother complains about her teenage daughter in family therapy. 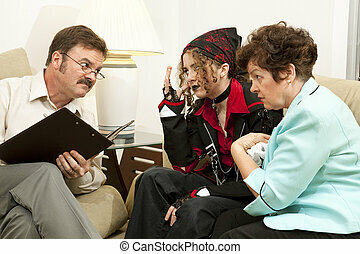 Angry mother complains about her teenage daughter in family therapy. 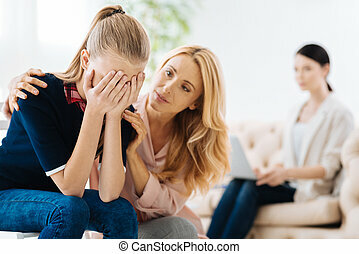 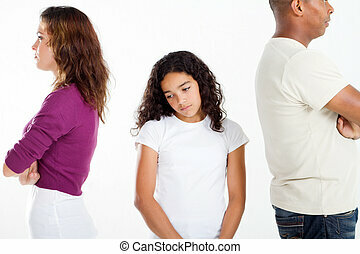 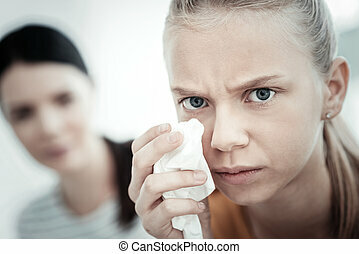 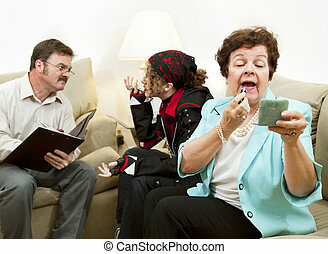 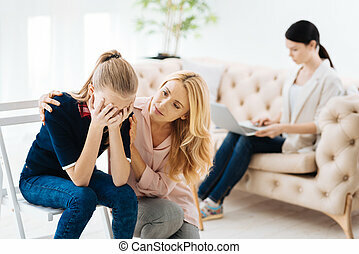 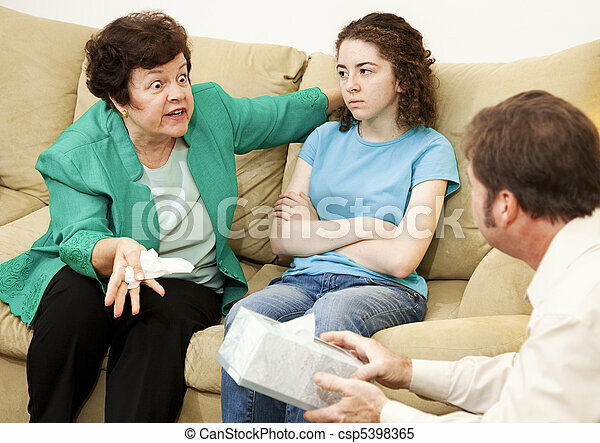 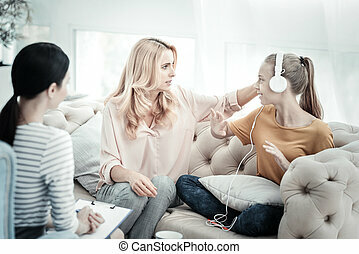 Mom and daughter-teenager at a reception with a psychologist. 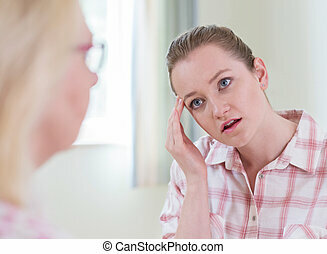 A woman and a girl have a complicated relationship. 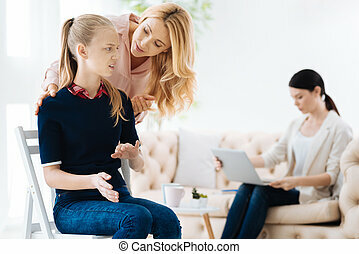 They do not understand each other. 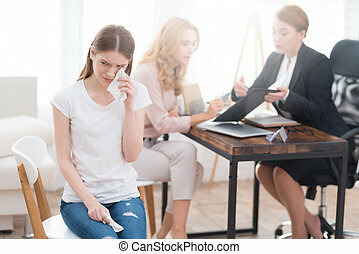 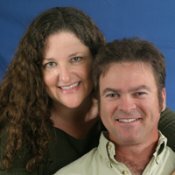 A female psychologist wants to help them.